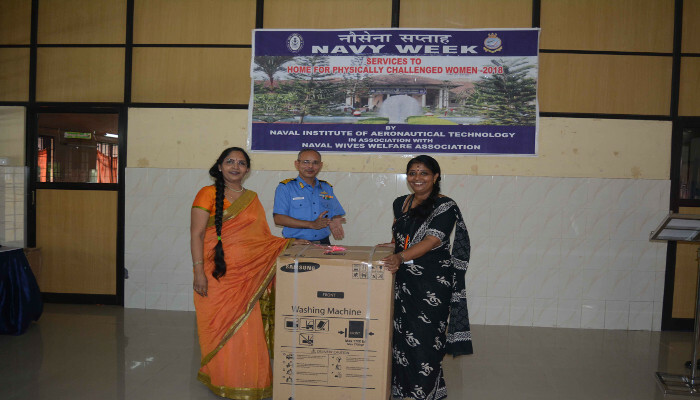 As a community outreach programme, which forms a part of Navy Week 2018 activities being undertaken by Southern Naval Command, ladies of Naval Wives Welfare Association (NWWA - Southern Region) and naval personnel from Naval Institute of Aeronautical Technology, Kochi visited the Don Bosco ‘ValsalyaBhavan’, Ponnurunni and ‘Home for Physically Challenged Women’, Thevara on16 and 20 October 2018 respectively. 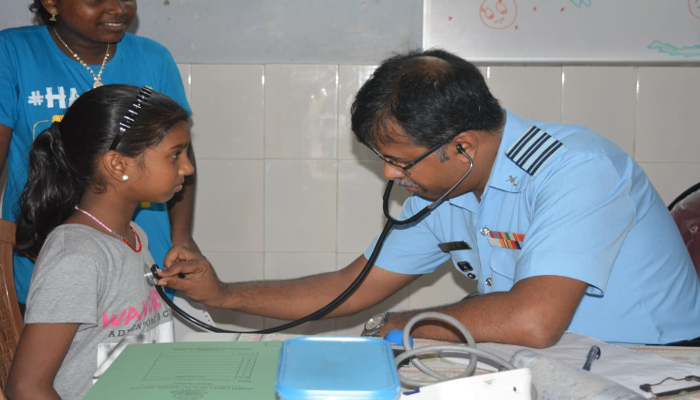 At Valsalya Bhavan, Ponnurunni naval personnel carried out repairs to doors, fitment of exhaust fans in kitchen, fitment of LED tube lights and bulbs, cleaning and painting of general areas and repair of water taps & each child was also provided with personal hygiene kit. Additionally, the centre was gifted a water dispenser and flask. Various cultural programmes and telegames were also conducted, which saw participation of many children. Mrs Neerja Alamanda, senior member NWWA (SR) gave away prizes to the children. 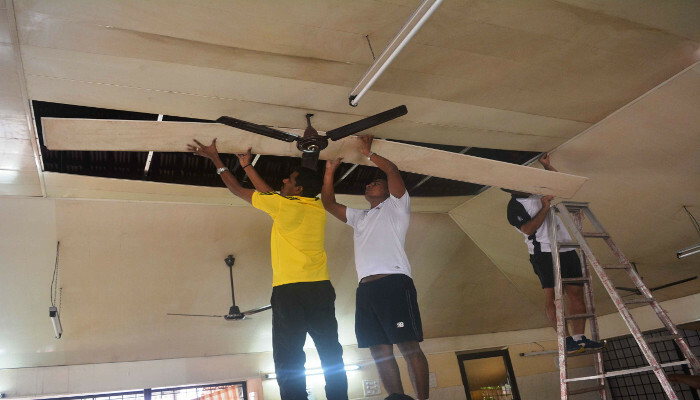 At ‘Home for Physically Challenged Women’, Thevara the NIAT team carried out electrical repairs, cleaning and painting of compound walls, windows and doors etc. Additionally, amenities like housekeeping items, study tables, emergency lamps and personal hygiene kits were also gifted by NWWA. Mrs. Usha Sreedhar, senior member of NWWA (SR) graced the occasion as the Chief Guest. 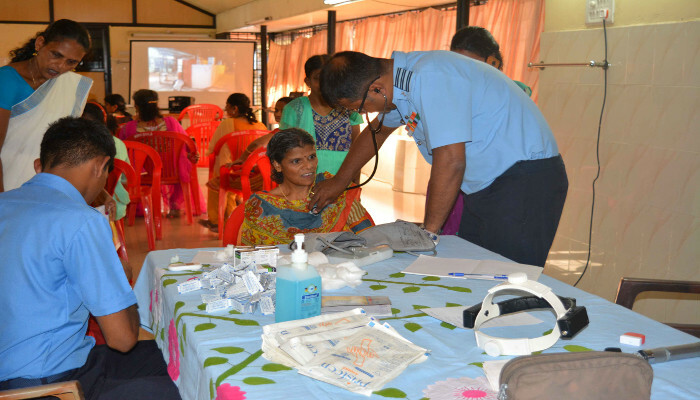 Don Bosco Valsalya Bhavan, Ponnurunni is a full time shelter home and rescue centre for destitute girls in the age group 5-14 years and which is looked after by the Don Bosco Welfare Society and Corporation of Kochi. The Centre shifted to its present location in 2010. The 'Home for Physically Challenged Women’ is an institution under the Ministry of Social Justice, Government of Kerala, which opened on 30th March 1980. The home offers shelter and rehabilitation to 26 physically challenged female inmates in the age group of 16 to 60.